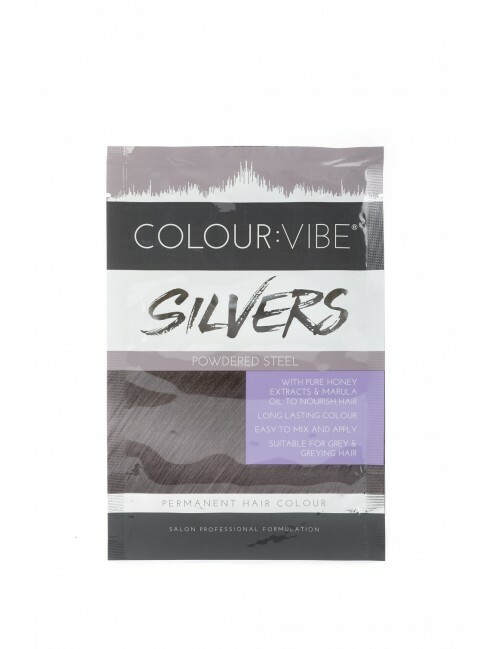 With the Colour:Vibe Silvers range of permanent hair dyes, you can easily achieve professional results at home. 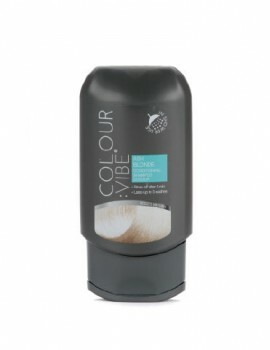 Whether you want to enhance your natural colour or create trendy silver shades, Colour:Vibe Silvers has a professional formulation with Honey and Marula Oil that hydrates and nourishes hair. Colour:Vibe Silvers can be used to add rich, deep and long lasting colour with up to 100% coverage. Apply to bleached and previously coloured hair without risk of compromise. Each shade gives a permanent colour result whilst conditioning the hair leaving it beautifully nourished and hydrated. When Colour:Vibe Silvers Powdered Steel is applied to light to medium blonde or highlighted hair, it will produce a cool grey tone counteracting any warmth. When applied to naturally grey hair (light), the results will enhance your grey to a cool subtle light grey tone with an even coverage. We do not advise applying Powdered Steel to dark grey or brown hair as this product contains no lightening agent.